Good morning! It's hard to believe 2013 is almost over. Here's to hoping everything awesome carries over into 2014, and everything not so awesome stays behind. 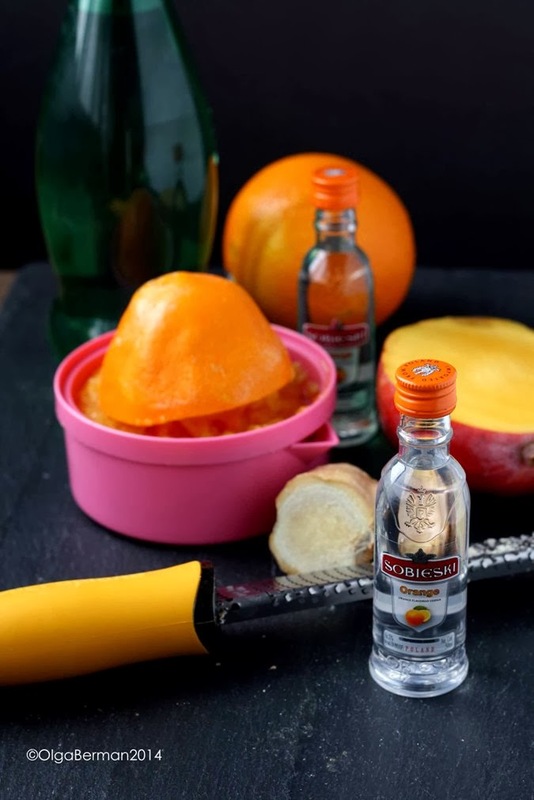 If you are looking for a festive cocktail to serve tonight or to have for brunch tomorrow, I suggest you make something I created over the weekend: OMG Cocktail with Sobieski Orange Flavored Vodka. 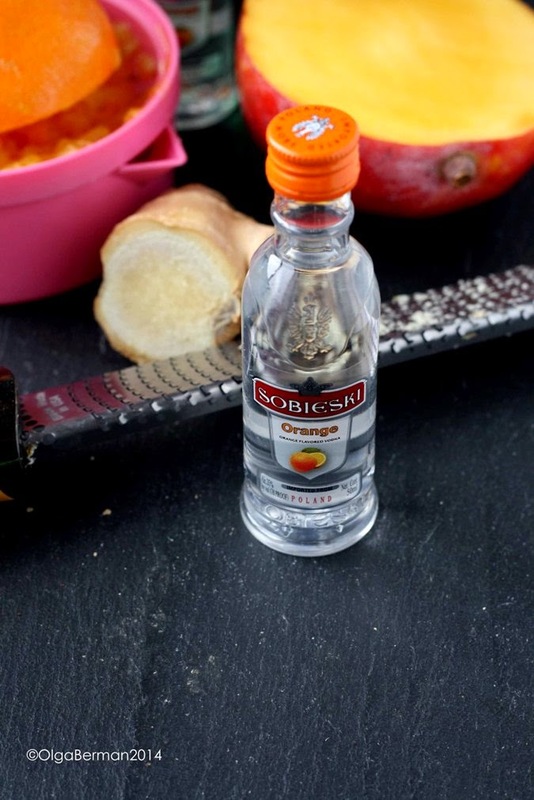 Here's how this cocktail came about: I received a few mini bottles of Sobieski Orange Flavored Vodka to try and thought I should make something more elaborate with it than a screwdriver (vodka + orange juice + ice). Not being a huge drinker, I chose to go with sweeter flavors and beautiful colors. What does OMG in OMG Cocktail stands for? Orange. Mango. Ginger. Yes! 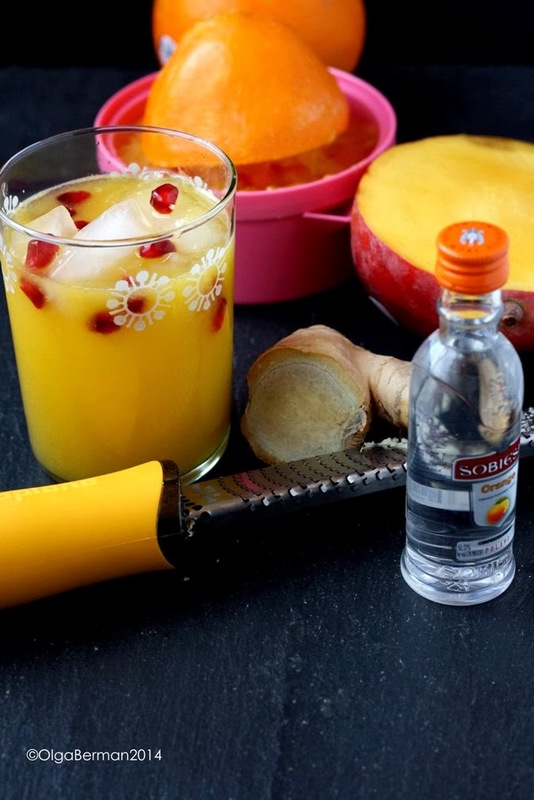 A bit of ginger gives a fun unexpected kick to this cocktail. 1. 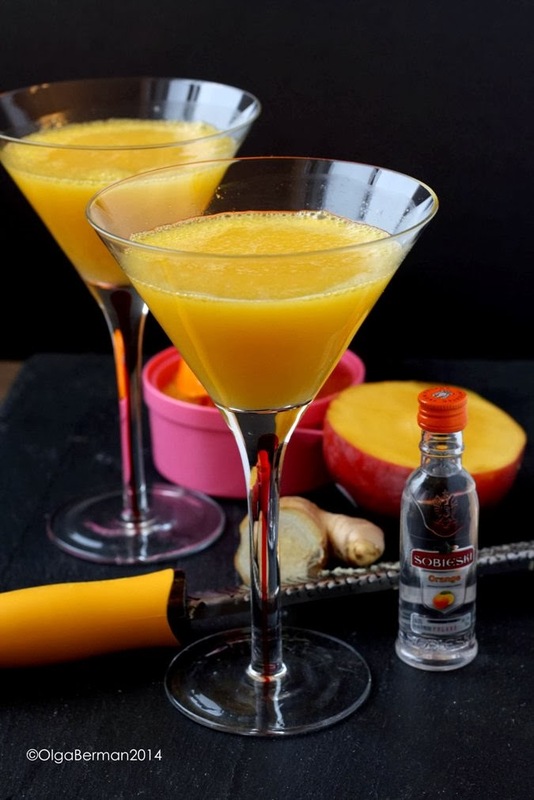 Using a stick blender or a food processor, puree the mango cubes with orange juice and grated ginger. 3. Divide the mixture into two glasses and top with sparkling water. 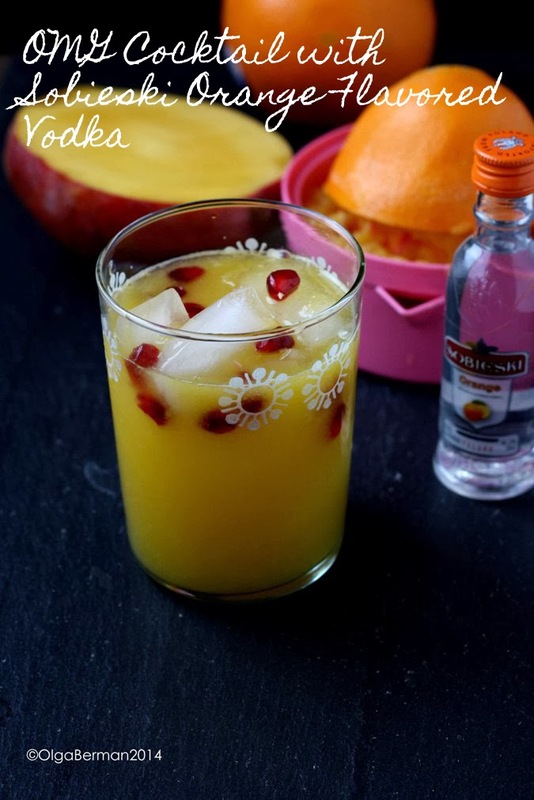 If you want, you can serve this over ice and topped with pomegranate seeds. Doesn't this look incredibly festive? I wish you and your loved ones a very happy 2014 filled with health, love, adventures, great friendships and of course great food.